However – despite these being very valid points and helping towards the case that working for yourself is the way to go – a little less known fact is that there can be problems and these take away from the advantages to owning your own business. 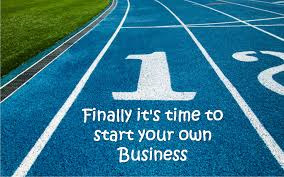 So, what is the downside to running your own business? * You will find you have to put in a lot of extra hours and commitment – especially when you are trying to get your business off the ground. While the rewards that come from owning your own business is great, the initial start up time might be a drain on your family. You will find that a lot of this work you need to do will be unpaid, you may work many hours of unpaid work while starting your business. * Once you start your own business there will be a lot more pressure on you, you’ll have new responsibilities to make this work, it’s all down to you. *You may find it very hard going and extremely stressful not just for the first few weeks or months but for perhaps even the first few years. During this time you need to keep your goals in mind and be motivated and positive. At the end of the day YOU are the business and if you lose interest or motivation you may find your business slipping away. Stay focused!